AFPC Edmonton is pleased to present Jane Halford to discuss Financial Literacy in Alberta Youth. In a world of instant credit, no-money-down deals and mounting consumer debt, the importance of providing Alberta youth with the knowledge to make smart money management decisions has never been more timely. In the fall of 2012, Alberta’s Chartered Accountants are unveiling a multi-media financial literacy program for Alberta teens. In her presentation, Jane Halford FCA will outline the rationale for and scope of the program, and how financial professionals can contribute their expertise to help advance financial literacy in their communities. Born and raised in Edmonton, Jane Halford FCA graduated with a Bachelor of Commerce degree from the University of Alberta before earning her CA designation. 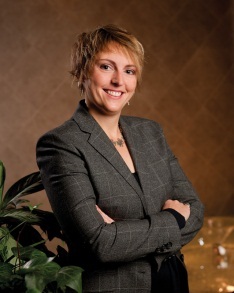 After serving as a senior manager at Grant Thornton Chartered Accountants LLP, Jane accepted the position of director of practice review for the Institute of Chartered Accountants of Alberta (ICAA) in 2003. She was named CEO and executive director of the ICAA in 2005. In this leadership role, Jane oversees all of the ICAA’s operations to ensure that it meets its statutory obligations and strategic goals on behalf of its members and the public interest. Jane received her FCA designation in 2012. • help members excel professionally.